​How an agent can help alleviate stress! How an agent can help alleviate stress! Purchasing a home can be a stressful experience, whether you’re a first-time buyer or you’ve been through the process before. But that’s one of the reasons that working with a real estate professional is so worthwhile. 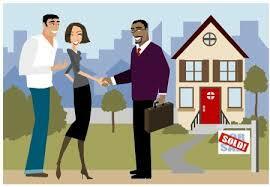 With your agent’s guidance, buying a home should be enjoyable, rather than stressful. Here are some of the more unique circumstances where your agent can make your life much easier. Out-of-town buyers: If you’re looking for vacation homes or moving to a job in a new city, there’s a good chance that viewing homes will be difficult—you could be a long drive or even a plane ride away. With today’s video messaging apps like Skype or Facetime, your agent can walk you through a property virtually. It’s not the same as walking through in person, but it will at least give you an idea about whether a property is worth pursuing further. When life is just too crazy: If you’re just getting too busy with everything else going on in your life, a good buyer’s agent should be able to recognize the situation and help you take a step back. They can suggest that you take a few weeks off from your home search to recharge, or only focus on properties that exactly fit your wants list. Inspection issues: You’re dreaming about move-in day, and then some unforeseen issues turn up during inspection. A good agent can work out those issues by negotiating a lower offer—to cover costs of repairs—or by getting the seller to fix the problem.